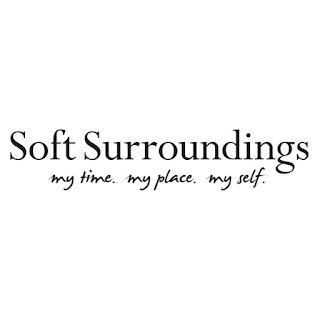 If you missed my awesome time at the Grand Opening of the Soft Surroundings store in Ross Park Mall, then you have to check this out. I fell in love with just about all things Soft Surroundings. From their clothing to their accessories to their makeup. With the holidays fast approaching, it's the perfect time to start planning out your stocking stuffers, family, friends and teacher gifts. Soft Surroundings happens to have some of the perfect gift items and you can even shop by dollar increments. They have such luxurious items that will make all your gift receipts feel extra special. I have two fragrances to share with you. Each one has it's own unique scent for that special person. They make perfect stocking stuffers! 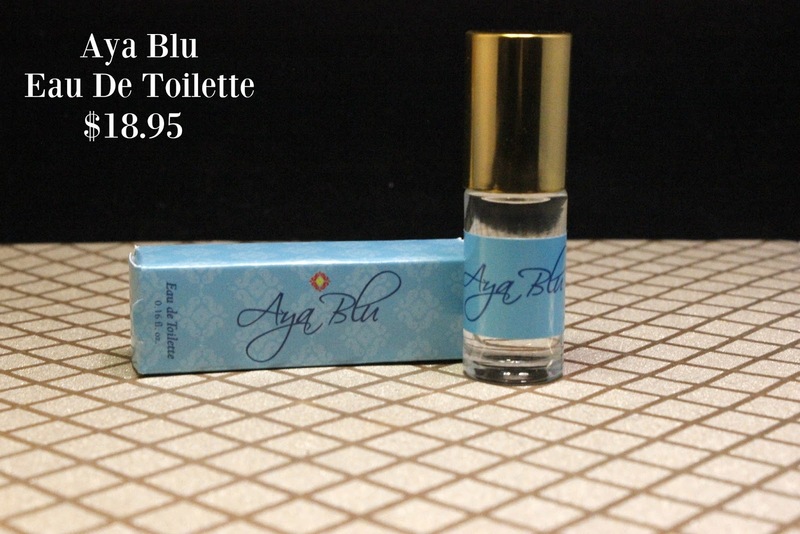 Aya Blu comes in a convenient rollerball that you can just throw in your purse for easy application throughout the day. There are notes of persian lime, purple orchid, Italian white truffle, spicy wild ginger and Madagascar vanilla. 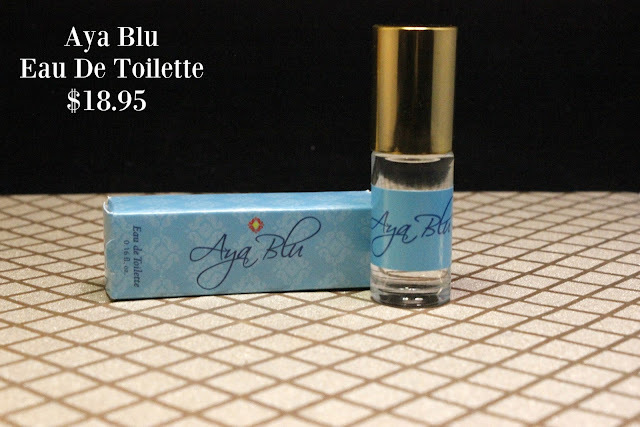 The finishing notes in Aya Blu are Indian sandalwood, warm amber and musk to bring out the elegance. 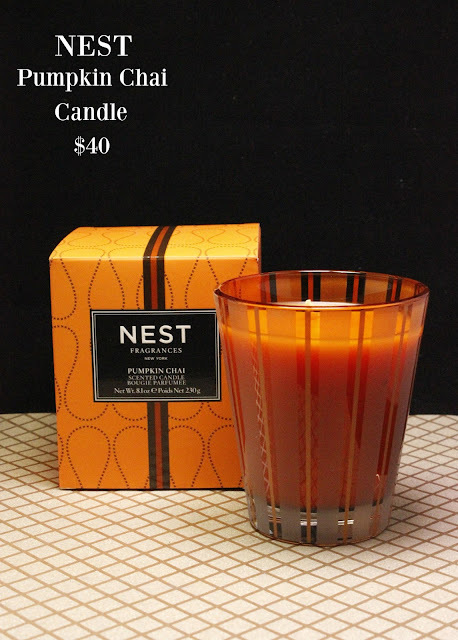 This scent is perfect for the person in your life that is sensual and warm. L. is such a romantic scent with major tones of tobacco and honey. 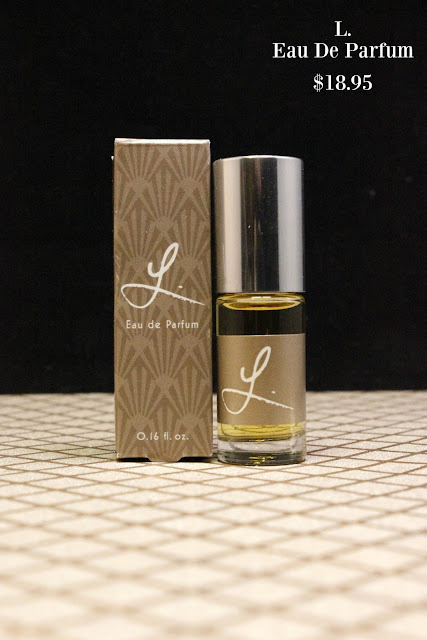 Notes of guaiac wood and citrus combined with patchouli, yalng ylang, black vanilla and amber create such a rich and classic fragrance. Rollerballs are fantastic because they can be applied directly to your pressure points without waste. Next, I have 2 of my favorite kind of gifts to give friends, coworkers and cousins. 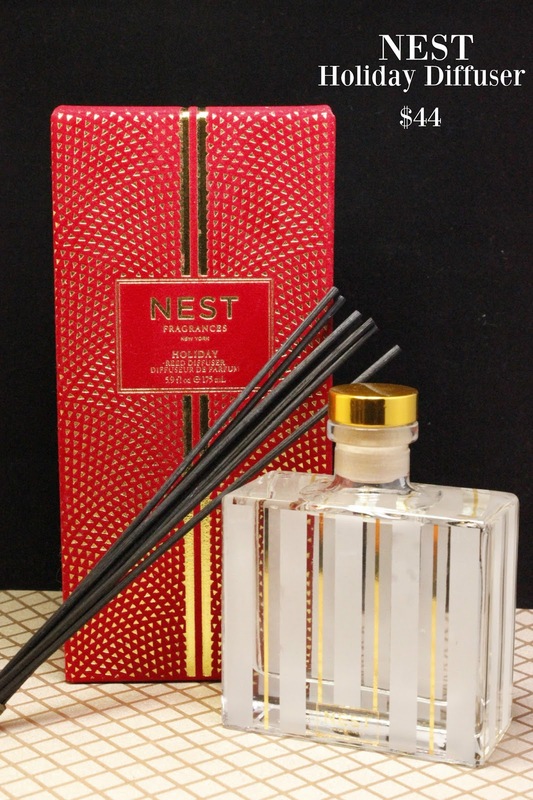 NEST makes such a great array of home fragrances and Soft Surroundings has some really great holiday scents. I have two to share with you today. Pumpkin Chai NEST candle comes in a decorative glass and copper orange vase. Scents of pumpkin, spicy masala chi, cardamom, ginger and cinnamon will fill any room with all the goodness that comes with fall! NEST Holiday Diffuser comes complete in a beautiful red and gold flocked packaging. The liquid, scented with pomegranate, mandarin orange, pine, cloves and cinnamon with hints of vanilla and amber does together to complete the holiday festivities. The scent comes in a beautiful glass etched vessel. Soft Surroundings also have a liquid diffuser for $60 which comes in a beautiful gold metal vessel and makes a beautiful hearth decoration. Each makes beautiful gifts and just as beautiful holiday decorations. Masks!! I love giving masks for holiday gifts. They are so easy to add to any gift and add to any stocking. Soft Surroundings offer over 10 different types of masks. 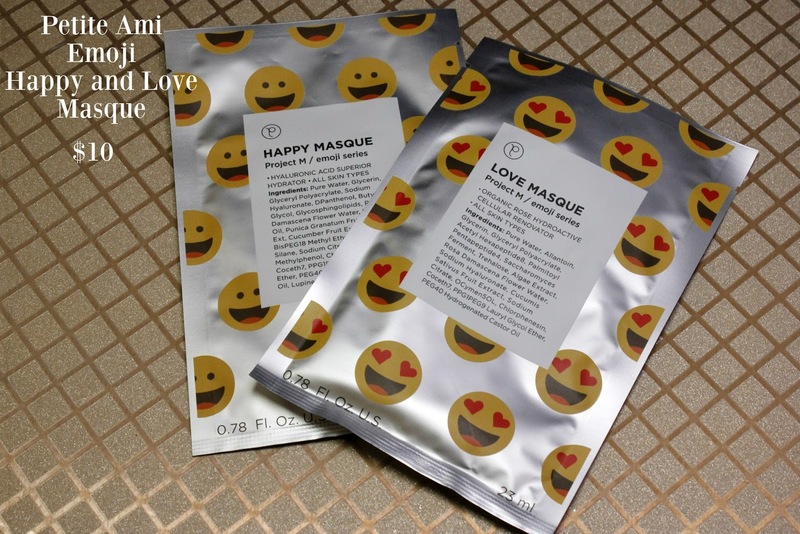 Petite Ami offer three different types of masks that are so fun for your hip, trendy friends and family. Happy, Love and Scream are the three styles and they actually look like the emoji when you put it on! How cute is that?? Petite Ami masks offer rich ingredients that are suitable for all skin types. This is the perfect gift for any beauty lover in your life! Last, but not least, because I have been using it every night, is the Deanna Faux Eye Mask. 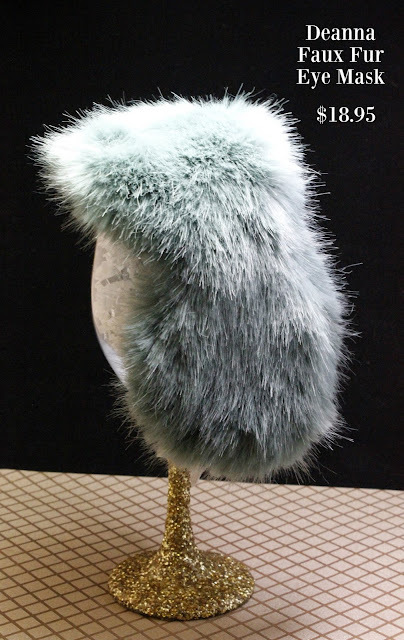 Soft Surroundings offers a giant selection of faux fur products. I was fortunate enough to feel some of these in the grand opening and-WOW-I knew then that I needed these items in my life! 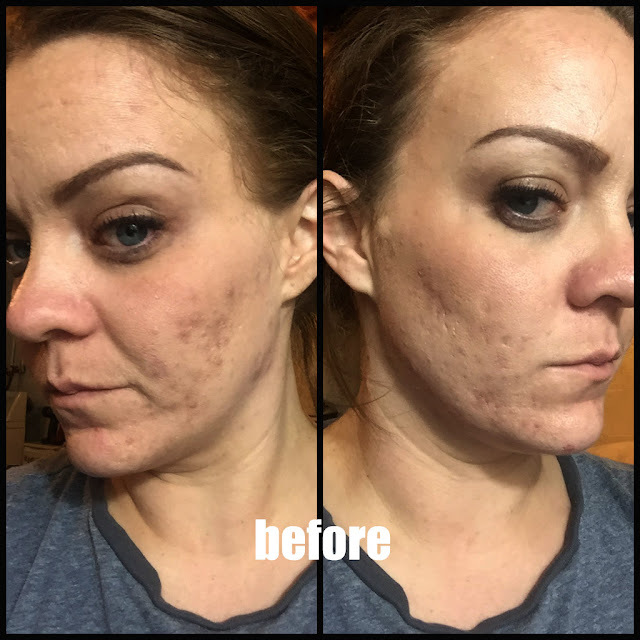 When I got to try out this mask, I thought it was going to be itchy and it would never work, but every night that I wake up before my alarm, I slip this on and it works like a charm. It feels so luxurious and it's so adorable! This mask also comes in the colors lynx and sable. If you didn't see anything that caught your eye on this page, don't fret, Soft Surroundings offers a giant selection and makes it easy with a Holiday Gift Guide. You can search by your price range, category and you can even buy a gift card for them to choose their own gift! Take a look for yourself.